When it comes to responsible and balanced land use, predictability and an open, collaborative process are key. In 2015, the Bureau of Land Management finalized sage grouse management plans, allowing for multiple uses on sagebrush lands that made room for everyone, from the energy industry to outdoor recreationists. The plans, while not perfect, were created collaboratively by Westerners who know sagebrush country — because they live, work and play there. But I am now concerned that the U.S. Department of the Interior has chosen to amend the hard-won greater sage grouse management plans — before they’ve had a chance to be effective. Earlier this month, BLM published final environmental impact statements for new sage grouse management plans, opening up a 30-day period to protest the amendments. The original plans had buy-in from state leaders and governors, hunters and anglers, farmers and ranchers, conservationists and other stakeholders. In many ways, it was a landmark process, not only because the effort ultimately saved the sage grouse from an Endangered Species listing but because it was a new, local-level approach to address an interstate public land management issue. Interior Secretary Ryan Zinke’s proposed changes create uncertainty for those whose livelihoods are directly tied to public lands, including business owners, energy developers and ranchers. Moreover, the amendments open some previously protected territory up to mining and drilling, disrupting not just the sage grouse, but some 350 other species that also make their home in sagebrush country. 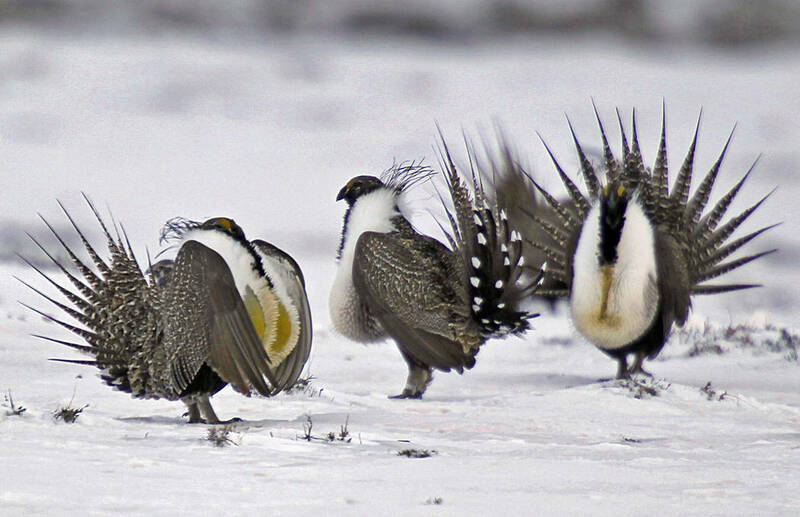 Because the health of the greater sage-grouse is considered indicative of the overall health of sagebrush territory and its ecosystems, what’s bad for the bird is essentially bad for the West. Public sagebrush lands support livestock grazing, agriculture, mining and drilling, hunting, fishing, hiking and other uses. Outdoor recreation alone on sagebrush lands is a $1 billion economy. We need a strong standard to avoid damage to habitat and to restore habitat where impacts are unavoidable. When it comes to responsible and balanced land use, predictability and an open, collaborative process are key. The sage grouse plans were crafted through bipartisan, interstate partnerships across the West. Through more than 400,000 comments submitted to the U.S. Bureau of Land Management and the U.S. Forest Service, the public has voiced its opposition to changing the plans. Rather than move forward with an amended management plan that lacks public buy-in, the Department of the Interior should keep the promises made in 2015 and leave the existing plans intact. Chris Giunchigliani, a Democrat, represents District E on the Clark County Commission.